Shows » Swallow or Swift? 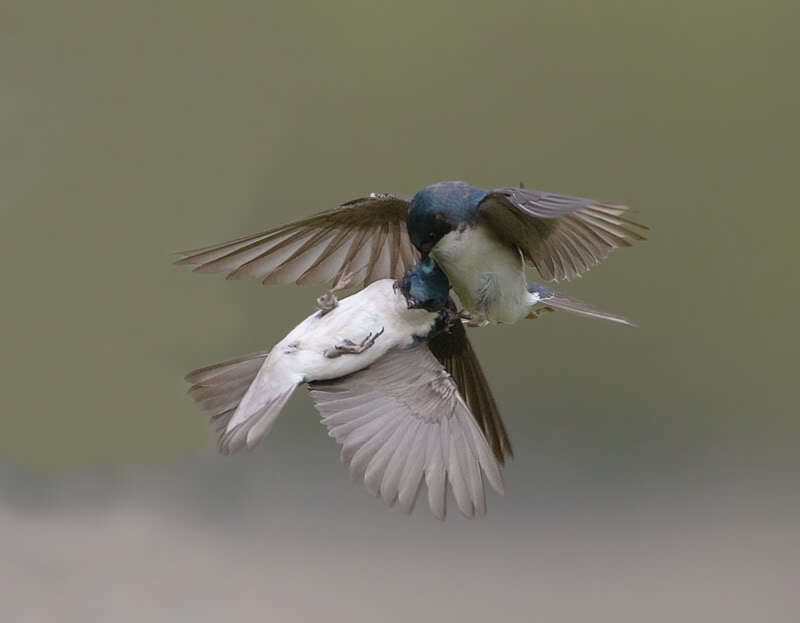 At a glance, swallows and swifts, both graceful fliers, look much alike. 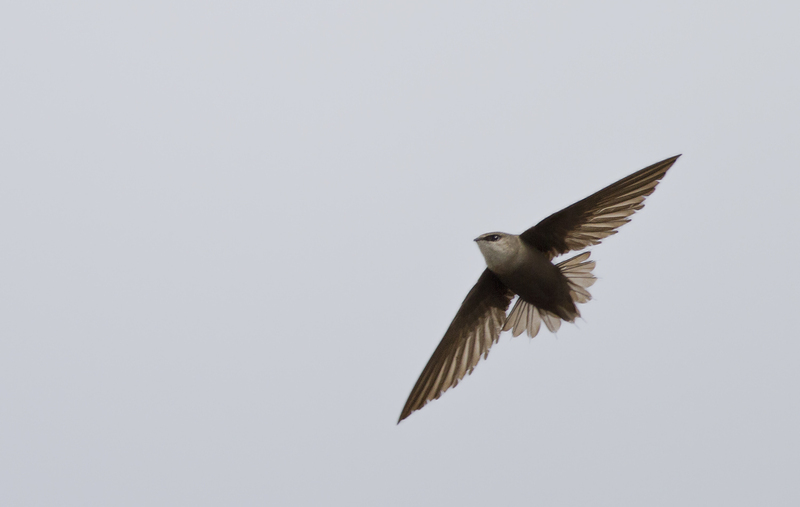 But swifts — like this Chimney Swift — have longer, slimmer wings and short bodies, enabling them to glide for long periods. Their glides are punctuated by rapid, stiff bursts of wing-beats. Swallows, on the other hand, flex and flap their wings. Why do swifts have such a peculiar, stiff wing stroke? Picture a bird wing, with two halves jointed in the middle. Swift wings have a short inner “half” and a long outer half. This causes the stiffness. 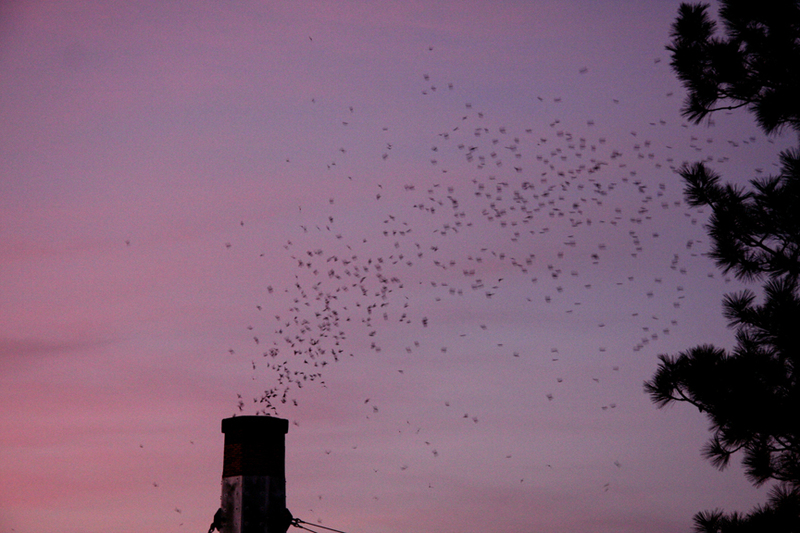 Swirling overhead, dozens of birds swoop and glide in pursuit of insects. Are they swallows . . . or swifts? How in the world do you tell them apart? 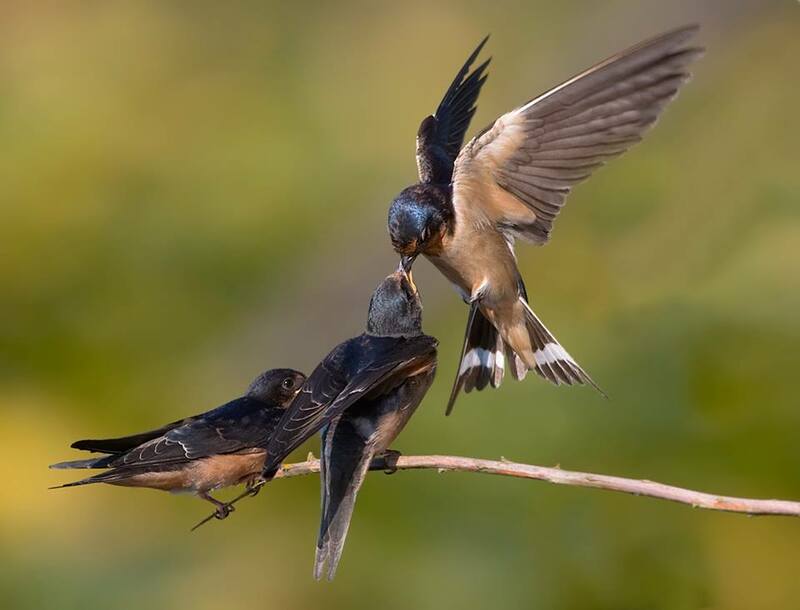 At a glance, swallows and swifts look much alike. They’re graceful fliers on long, slender wings and all about the same size. But a closer look reveals key differences: swifts have longer, even slimmer, wings and relatively shorter bodies. Swifts also glide for longer periods. Their glides are punctuated by rapid, stiff bursts of wing-beats — movements so brisk, their wings seem to flicker. Swallows, on the other hand, flex and flap their wings. Why do swifts have such a peculiar, stiff wing stroke? Picture a typical bird wing, with two halves jointed in the middle. A Swift’s wing reveals an inner “half” that’s extremely short, and an outer portion that’s very long. This causes the stiffness. Try waving your arms with your elbows held against your body, and you’ll get the idea. Another group of birds shares this distinctive wing structure: hummingbirds. 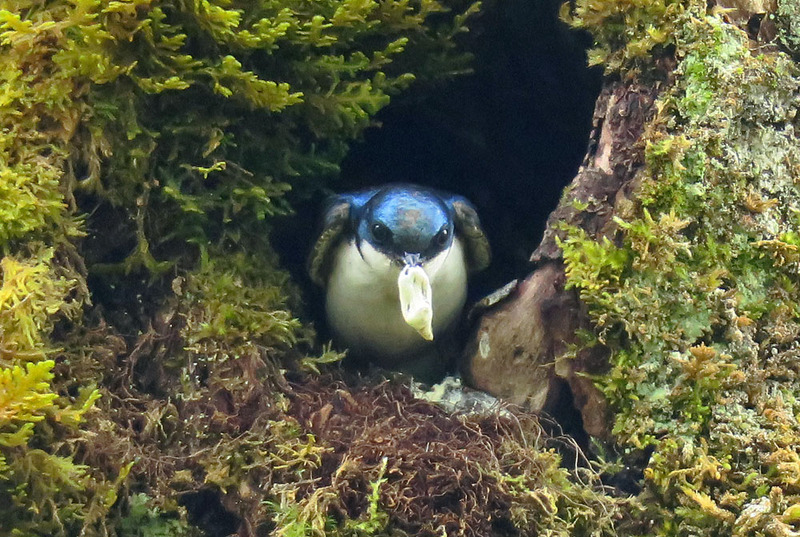 And swifts are considered to be closely related to hummingbirds. Swallows, on the other hand are songbirds, closer kin of birds like robins and wrens.